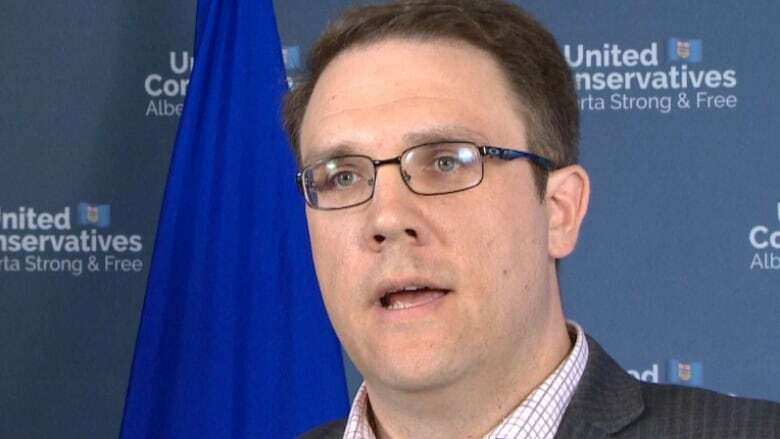 The provincial NDP are calling attention to a decade-old incident where Jason Nixon, who is now a UCP candidate, had been charged with assault following an alleged altercation involving an Alberta woman. In 2009, Allison Gentry, who lives in Cremona, Alta. reported to police an alleged incident involving Jason Nixon, before he was a sitting MLA and UCP candidate for the riding of Rimbey-Rocky Mountain House-Sundre, which resulted in an assault charge. The charge was withdrawn, but a peace bond was entered. A statement from Gentry details the altercation between her and Nixon, which she says occurred when she was patrolling the area around her property. Her statement said there were signs prohibiting hunting in the area. The statement said the men had long guns for hunting with them at the time. Gentry, who said she remained in her car, alleges that Nixon was verbally and physically aggressive, and she felt threatened and helpless. Her statement was emailed to the media Sunday by the NDP, along with a video of Gentry detailing her allegations. At the time of the alleged incident, she didn't know who Nixon was, Gentry said Sunday. She said she's been telling people about what happened for years. "The timing looks, of course, suspect — this being the last week before the election. But I can't say that I haven't been telling the neighbours and talking about it," she said in a phone interview. "Pretty much anybody that I talked to, you know, over the last few years, just in idle conversation or, you know discussing things, leaning on the tailgate," she said. Gentry said she has no interest in "shilling for any side" of the political spectrum. In February 2011, Nixon signed a one-year peace bond for charges related to the threat of injury/damage regarding the alleged incident. "On or about the 17th day of February, A.D. 2011, at or near Didsbury in the Province of Alberta, has caused Allison Gentry to fear that Jason John Nixon will cause personal injury to her, in that Jason John Nixon did on the 6th day of November, 2009 at or near Cremona, in the province of Alberta, harm Allison Gentry which causes Allison Gentry to have the said fear contrary to Section 810(1) of the Criminal Code of Canada," the peace bond reads. Speaking to reporters Sunday in Edmonton, Nixon denied Gentry's version of events. "These are old claims that have already been completely and fully discredited. The allegations are a complete lie. I have statements from multiple witnesses who were present and can confirm that," Nixon said. The UCP provided media with emailed witness statements from Earl Anderson and John Garvey, who verified Nixon's version of events. Nixon denied having been on Gentry's property. "The courts have been clear. They withdrew the process that Ms. Gentry brought. The courts withdrew that," Nixon said. He said signing the peace bond was not an admission of his guilt. A peace bond requires the signee to follow the law, and to remain on good behaviour. In this case it also mandated that Nixon stay off of Gentry's property. Nixon said UCP leader Jason Kenney is aware of the withdrawn charge.